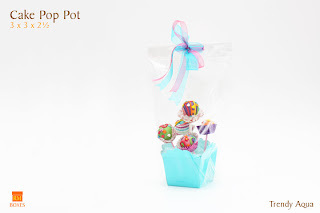 RM Boxes | News: Cake Pops for You! This Valentine’s day, in lieu of traditional flowers, how about making a Cake Pop Bouquet? 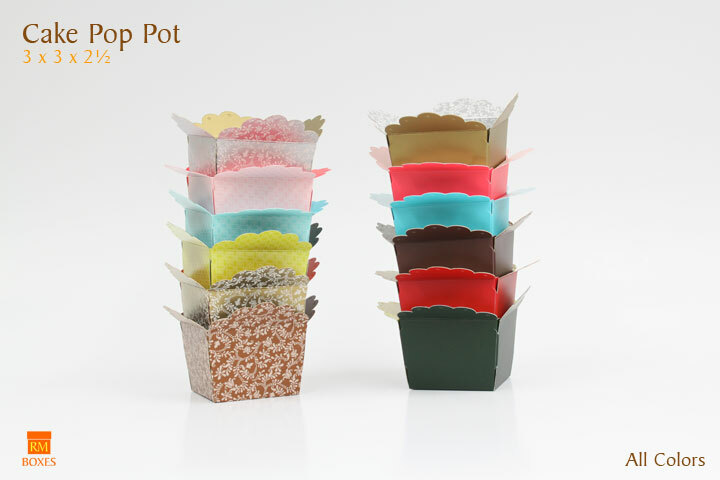 Our new Cake Pop Pot is the perfect packaging for your beautifully crafted Cake Pop Bouquet. 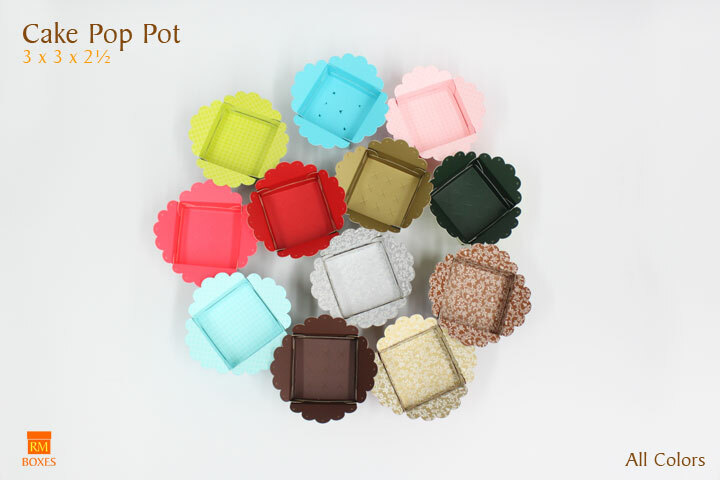 The Pot is made of elegantly printed cardboard with a solid color on one side and a dainty design on the other. 5 fun combinations to choose from: Red and Gold, Pomelo and Blush Pink, Aqua and Light Aqua, Hunter Green and Pistachio Green, Gold and Silver. Each Pot can fit up to 9 Cake Pops and comes with a pre-cut liner to help guide the Cake Pops in. 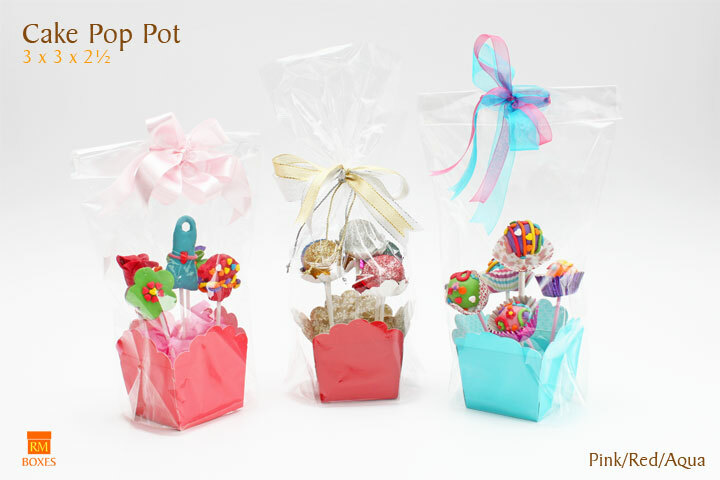 Secure the base of the pot with a Styrofoam block, covered chocolates, pebbles or any suitable material. 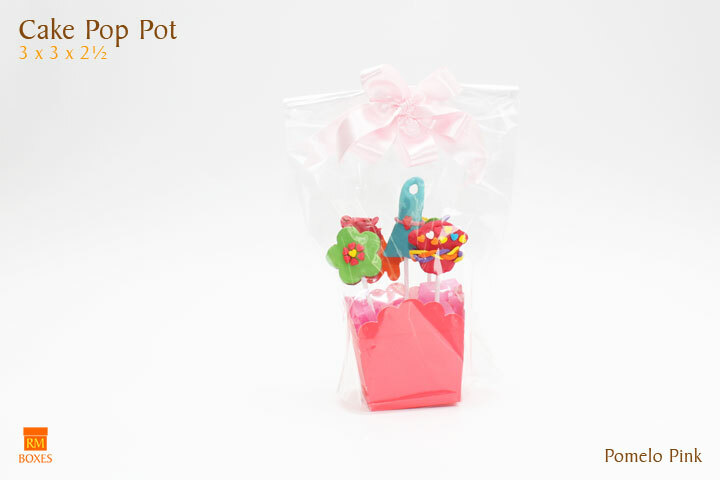 A clear OPP plastic bag tied with colorful ribbons completes the package. (Styrofoam block, plastic bag, ribbons, other accessories sold separately). A Cake Pop Bouquet will also brighten up a children’s party and make a great party favor. Another original packaging concept brought to you by RM Box Center. Proudly Philippine made.